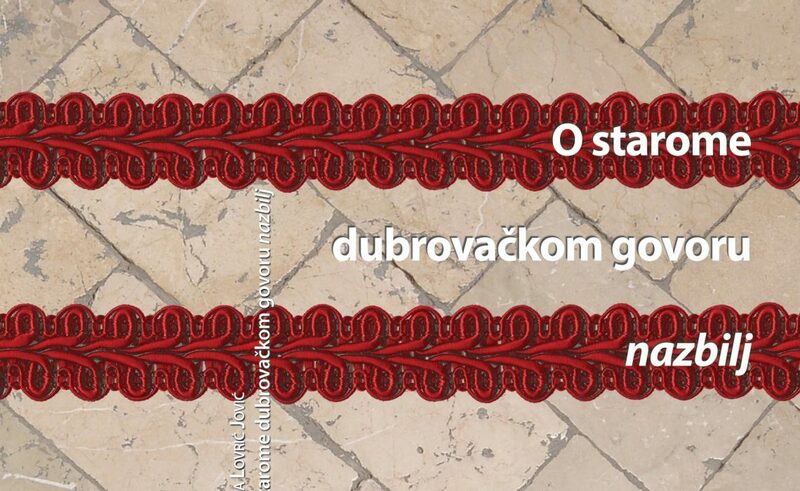 Presentation of the Ivana Lovric Jovic’s book ‘O starome dubrovackom govoru nazbilj’ published by the Institute of Croatian Language and Linguistics in Zagreb, will be held on in 9.30 pm in the atrium of the Sponza Palace. The theme of the book is Dubrovnik’s speech from the period of the 18th century, which so far has not been in any systematic description. The last published work about the Dubrovnik speech belongs to the middle of the last century. The corpus for research of Ivana Lovric Jovic were Dubrovnik francezarije, localisation of Moliere’s comedies in Croatian language. The book will be presented at the Sponza by the director of the Institute of Croatian Language and Linguistics in Zagreb, PhD. Zeljko Jozic; editor of the book PhD. Sanja Peric; PhD. Katja Bakija and author PhD. Ivana Lovric Jovic with the participation of Kolarin theater company which will perform excerpts from ‘Matrimony’ of Josip Lovric better known as Jozo Lovric Jadrijev, who is the father of the author of the book. Croatian vineyards joined the list of the best in the world!